Welcome to AVID! AVID stands for Advancement Via Individual Determination. At LCMS, we have an 8th and 7th grade class, both taught by Ms. Rodriguez. Our AVID coordinator is Ms. Contreras. AVID students will go on two college field trips this year to see what life is like for a college student. They will also have numerous opportunities to participate in school events, all while promoting our amazing program! 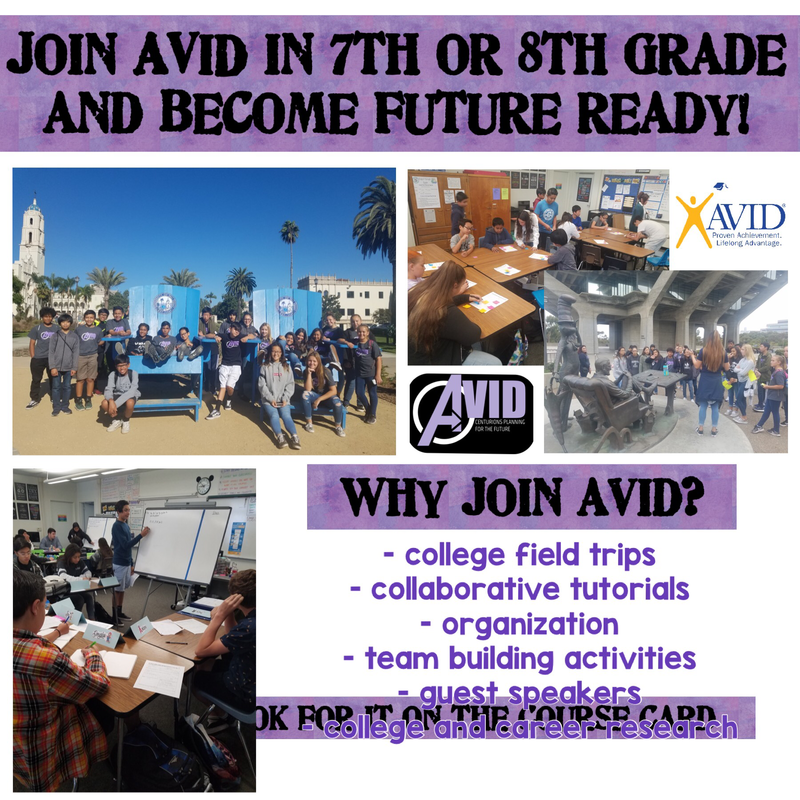 Students, have you bought your AVID shirt yet? The shirts are made and ready to be handed out next week. If you haven't bought one yet, they are $10 and can be bought in room 63 or room 62. Check out the design in the attachments! Questions about AVID? Feel free to email Ms. Rodriguez (nrodriguez@nlmusd.org) or Ms. Contreras (scontreras@nlmusd.org) for more info!